First, a little bit about Mike Bossy. Bossy is a 6’0″ 185 lb right handed right winger from Montreal. 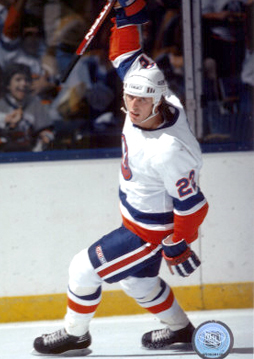 Bossy played 10 years for the New York Islanders, from 1977-1987. In that time, Bossy appeared in 752 games, scored 573 goals, 553 assists, and 1,126 points. 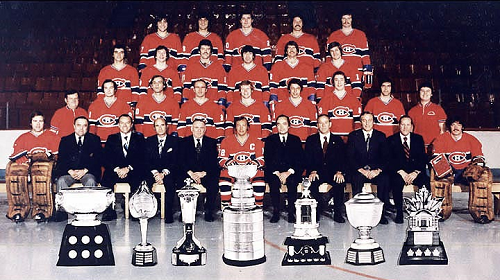 Bossy played on 4 Stanley Cup Championship teams, winning the Conn Smythe once in 1981-1982. Individually, Bossy appeared in 7 All-Star games, won the Calder Trophy in 1977-1978, and won the Lady Byng 3 times. From 1978 to 1986, Bossy was either a first team All-Star or a second team All-Star. As a rookie, Bossy scored 53 goals, then a rookie record. He followed that up with 69 goals in his next campaign, a career high. In total, Bossy scored 50 goals in 9 consecutive seasons, an NHL record. Bossy is also one of 5 players in NHL history to score 50 goals in 50 games. Essentially, Bossy was as pure a goal scorer as anybody in the history of the game. In 1980-1981, Bossy was on a mission. Before the season started, Bossy decided that he would try and go for 50 goals in 50 games, something only Maurice “Rocket” Richard had done, 36 years earlier. Bossy told nobody initially, and when he hit the 25 goal mark in just 23 games, reporters began to ask questions. Many felt that Bossy was chasing Phil Esposito’s record of 76 goals in 78 games. When Bossy told them that he was chasing “Rocket” Richard’s record, the media went crazy. To make things much more interesting, L.A. Kings forward Charlie Simmer hung right with Bossy. At the 49 game mark, Simmer had 46, and Bossy had 48. In game 50, Simmer scored a hat trick, giving him 49 goals in 50 games. Bossy played later that day so the pressure was on him. Through the first 54 minutes, Bossy was held scoreless. But then in trademark fashion, Bossy got hot quickly, and scored two goals in the final 5 1/2 minutes, giving him 50 goals in 50 games. Bossy went on to finish the season with 68 goals, 51 assists, and 119 points. Bossy also scored a career high 28 powerplay goals that season, which led the league. In the playoffs, Bossy scored an incredible 17 goals and 35 points in 18 games, leading the Islanders to another Stanley Cup victory. A little bit about Luc Robitaille. Luc is a 6’1″ 215 lb left handed left winger from Montreal. 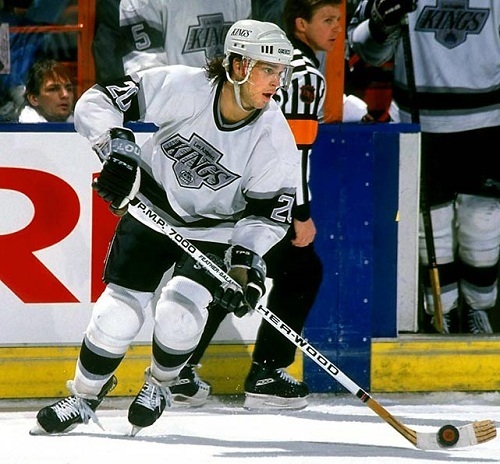 Luc played 19 seasons in the NHL for the Los Angeles Kings, Pittsburgh Penguins, New York Rangers, and Detroit Red Wings. In that time, Luc appeared in 1,431 games, scoring 668 goals, 726 assists, and 1,394 points. Luc also appeared in 159 playoff games, scoring 58 goals and 69 assists for 127 points. Luc played for 1 Stanley Cup championship team, the 2001-2002 Detroit Red Wings. Luc’s individual hardware includes the 1986-1987 Calder Trophy, 8 All Star games, and 8 finishes on either the 1st or 2nd NHL All Star team. Robitaille finished in the top 10 in goal scoring 9 different seasons in the NHL, illustrating just how prolific of a goal scorer he was. Surprisingly little competition for such a commonly worn number, but Lucky Luc would hold his own in a more stellar bunch with his 668 career goals, 1,394 points and Hall of Fame enshrinement. In 1992-1993, Luc was at his best as a goal scorer, tallying 63 goals and 62 assists, giving him a career high 125 points. He scored 24 times on the powerplay that season which was 5th in the NHL that season. Luc just had a knack for finding the back of the net, whether it be off a loose puck, a rebound, or a dirty goal. He just knew how to score. That 1992-1993 season was particularly special because teammate Wayne Gretzky missed the first half of the season, so Luc had to carry the team on his back until Gretzky got back. 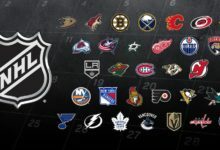 That L.A. Kings team ended up going all the way to the Stanley Cup Finals before they finally fell to the Montreal Canadiens. In that playoff run, Luc scored 9 goals and 13 assists, but ultimately it was not enough. A little bit about Mario. Mario is a 6’4″ 230 lb right-handed centerman from Montreal. Lemieux played 17 seasons for the Pittsburgh Penguins from 1984-1985 to 2005-2006. 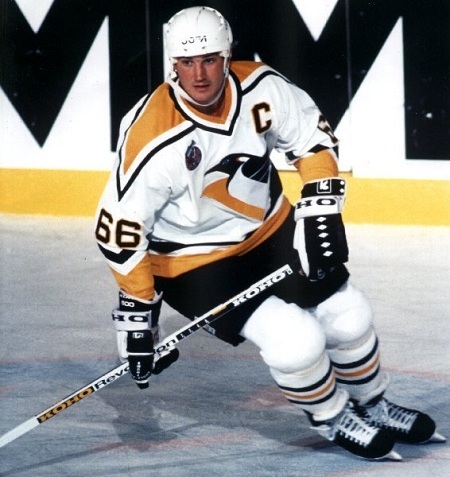 In that time, Lemieux appeared in 915 games and scored 690 goals, 1,033 assists, and 1,723 points. Lemieux led his team to 2 Stanley Cup Championships in 1991 and 1992, winning the Conn Smythe both years. Individually, Lemieux has a laundry list of accomplishments. Lemieux won the Hart Trophy 3 times, the Art Ross 6 times, the Ted Lindsay Award 4 times, a gold medal, 10 All-Star games, and so much more. Lemieux was big, strong, but incredibly fast and agile for a man his size. 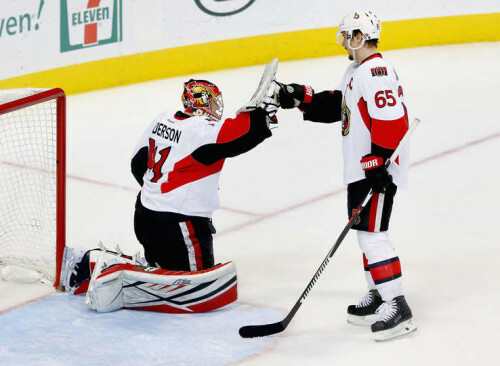 He possessed the whole bag of dekes and fakes and has so many highlights of him embarrassing even the best of opponents, such as his first NHL goal. The 1988-1989 Lemieux was Lemieux at his playmaking best. Lemieux played 76 games and scored 85 goals, 114 assists, and 199 points, the closest anybody has come to Gretzky’s 200 point marks. He scored 31 times on the powerplay and 13 times shorthanded – both league leading marks. The 1988-1989 season saw Lemieux do something that nobody else had ever done, score 5 goals in 5 different ways (PPG, SHG, penalty shot, even strength, and empty net). The 13 shorthanded goals are also an NHL record. The 88-89 season also saw Lemieux score 50 goals in 50 games, becoming the 4th player in NHL history to do so. He had 2 8-point games that season, 1 in the regular season and 1 in the playoffs. But all of those pale in comparison to the next stat I’ll lay on you. That season, Lemieux either scored or assisted on 57.3% of his team’s goals, the highest percentage in NHL history. He literally carried this team on his back the entire season. As a unit, boy would these guys score. Just taking the individual seasons alone, these guys combined for 211 goals. Damn. This line would be nearly unstoppable. I’ve got two of the greatest goal scorers at their positions in Robitaille and Bossy. I’ve got one of the best playmakers in NHL history in Mario Lemieux setting them up. The beauty of this line is the way in which both Bossy and Robitaille scored. These guys didn’t need to have the puck on their stick for long stretches of time as they weaved their way to a scoring area. Instead, both these guys were adept at finding the soft spot in the defense and then getting themselves into shooting position. Lemieux on the other hand was a magician at weaving through traffic with the puck and finding the open guy. That’s why this line would work together so well. Lemieux would bring the puck up the ice while Bossy and Robitaille flanked him. They would get themselves into scoring positions and Lemieux would find them. That’s why I chose the one of the best goal scoring seasons from both Bossy and Robitaille and the best playmaking season from Lemieux. 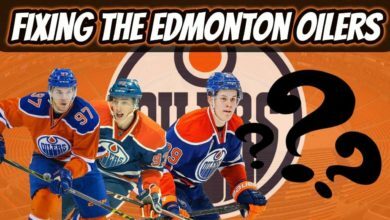 The other added advantage about this line is that these guys could score in every way imaginable. You need a dirty goal? Robitaille can do that. You need a shot to be released in traffic with a release quicker than a speeding bullet? That’s Bossy for you. How about a 1-on-2 offensive rush? 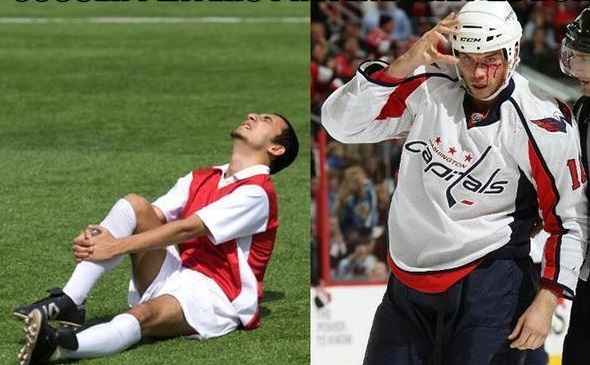 That’s Lemieux for you. 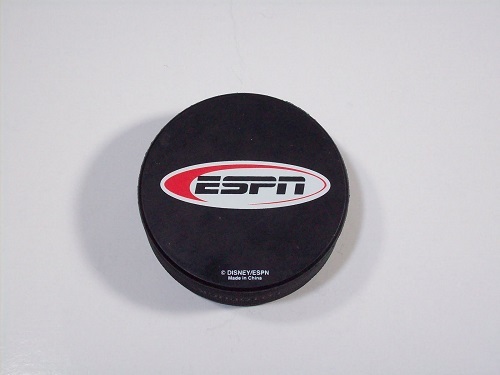 They would also effectively be playing defense by always having the puck on their sticks. All of these guys were good skaters at this point in their careers so they could cover up defensively if they had to. It would be a nightmare for the Aliens. Individually, I’d ask these guys to do a few different things. Bossy – Serve on the 2nd powerplay unit. Bossy would play on the 2nd powerplay unit. The Aliens would feel sorry for themselves every single time they took a penalty because Bossy would make them pay. Lemieux – Serve on the 2nd powerplay unit along with linemate Bossy. Lemieux was a nightmare on the powerplay with his size and strength and it would get ugly quickly. Robitaille – Wouldn’t be counted on for any heavy special teams time, but if the powerplay became stagnant, I might insert him to create some traffic in front of the net.